For other uses, see Dialogue (disambiguation). Gosse, Edmund (1911). "Dialogue" . In Chisholm, Hugh. Encyclopædia Britannica. 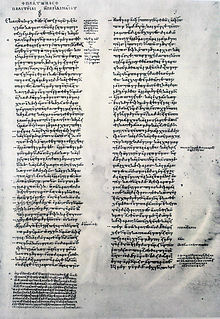 8 (11th ed.). Cambridge University Press. pp. 156–157. ^ Laouris, Yiannis (2014-11-16). "Reengineering and Reinventing both Democracy and the Concept of Life in the Digital Era". In Floridi, Luciano. The Onlife Manifesto. p. 130. ISBN 978-3319040936. Kutzko, David (2012). "In pursuit of Sophron". In Bosher, Kathryn. Theater Outside Athens: Drama in Greek Sicily and South Italy. p. 377. ISBN 9780521761789.